to prove that magnetic field could produce current. He wound two separate windings on an iron toroid and placed a galvanometer in one circuit and a battery in the other. Upon closing the battery circuit, there is deflection on galvanomater and similar deflection in opposite direction when battery diconnected. 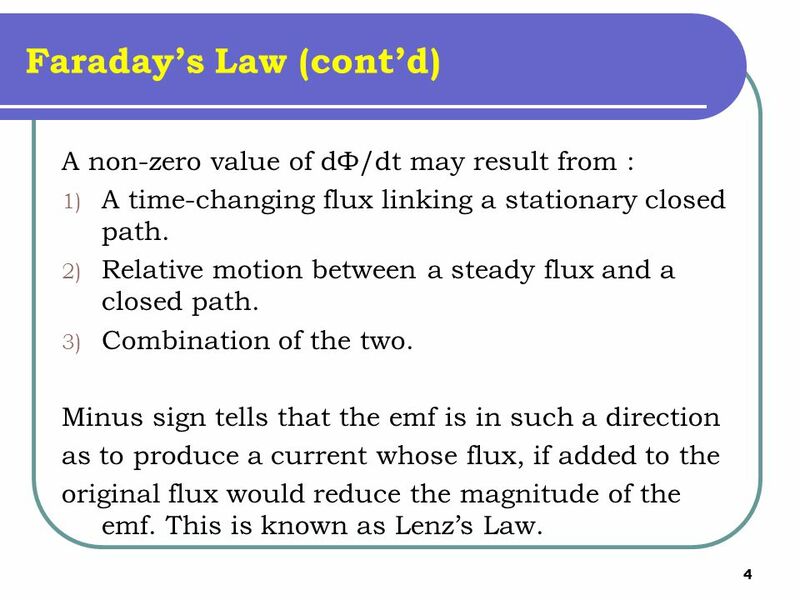 A non-zero value of dФ/dt may result from : A time-changing flux linking a stationary closed path. Relative motion between a steady flux and a closed path. Combination of the two. 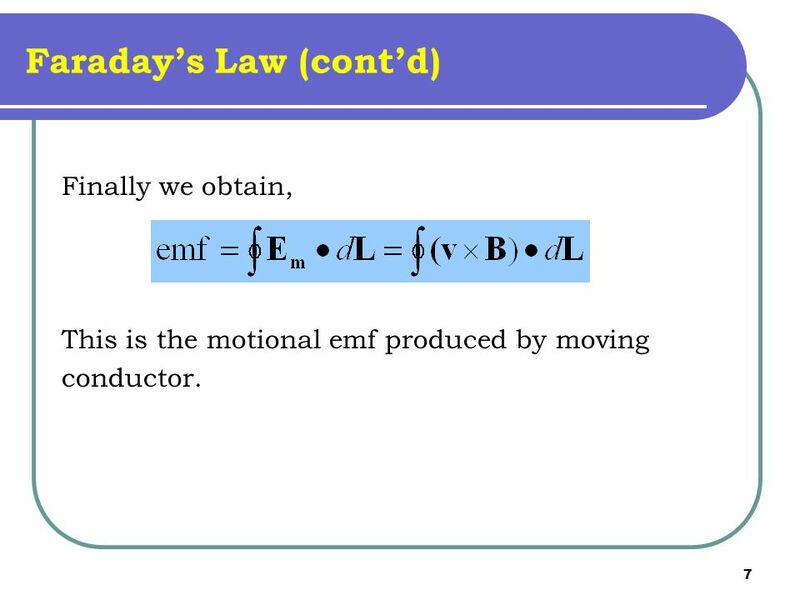 Minus sign tells that the emf is in such a direction as to produce a current whose flux, if added to the original flux would reduce the magnitude of the emf. This is known as Lenz’s Law. 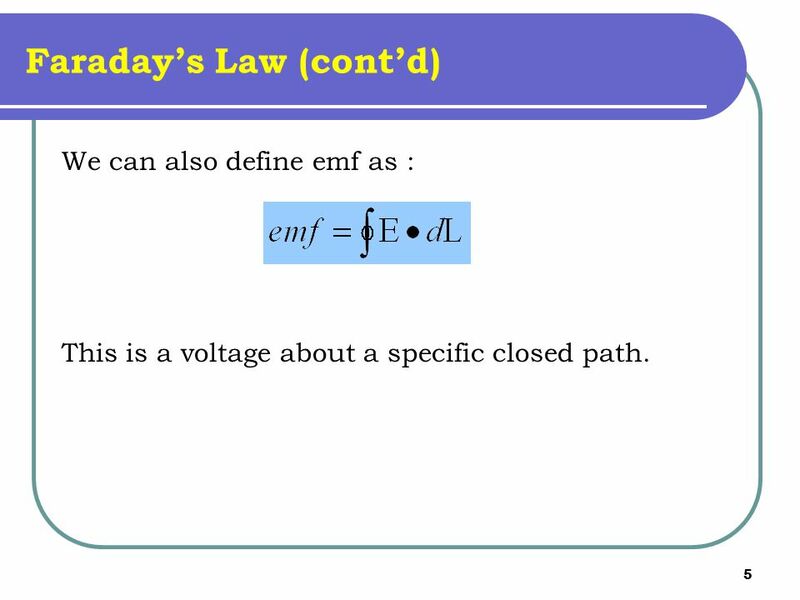 We can also define emf as : This is a voltage about a specific closed path. Finally we obtain, This is the motional emf produced by moving conductor. 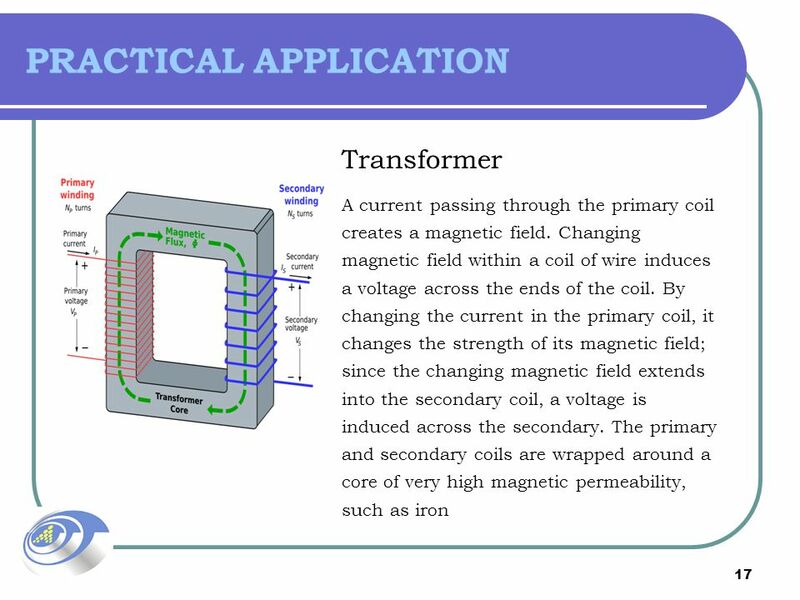 Magnetic field can be enhanced by wrapping a conductor wire around an iron core. The iron core is considered as a magnetic material since it can influence magnetic field. 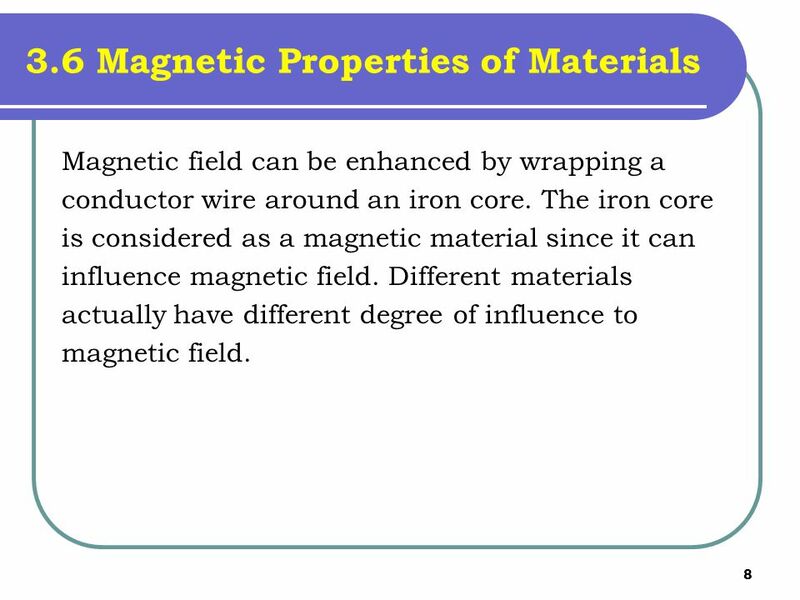 Different materials actually have different degree of influence to magnetic field. 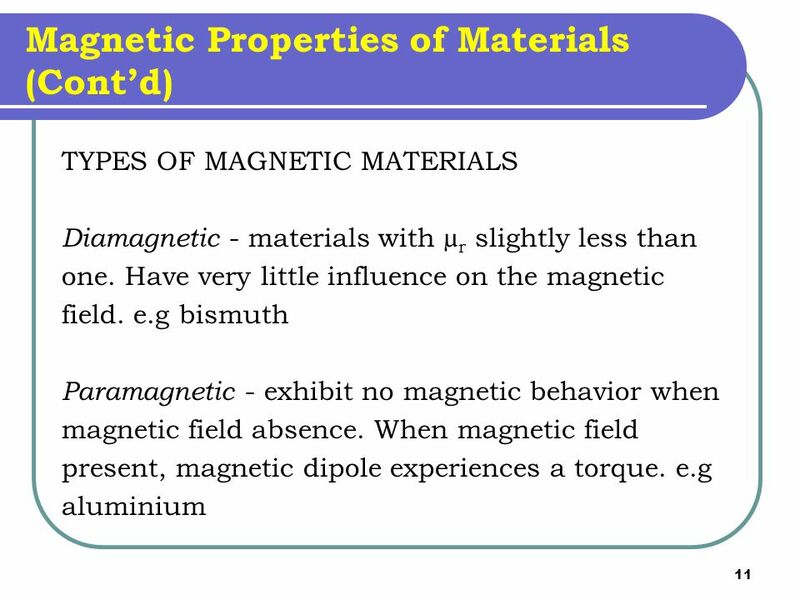 Ferromagnetic - strongly magnetic even in absence of external applied field. Used for permanent magnets e.g iron, nickel, cobalt Superparamagnetic – ferromagnetic particles suspended in a dielectric. 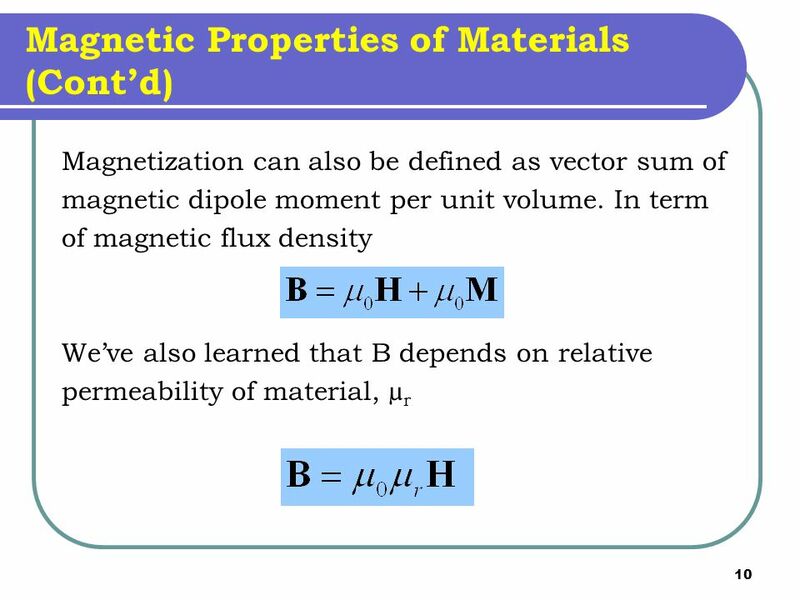 Magnetization will saturates at very large fields. 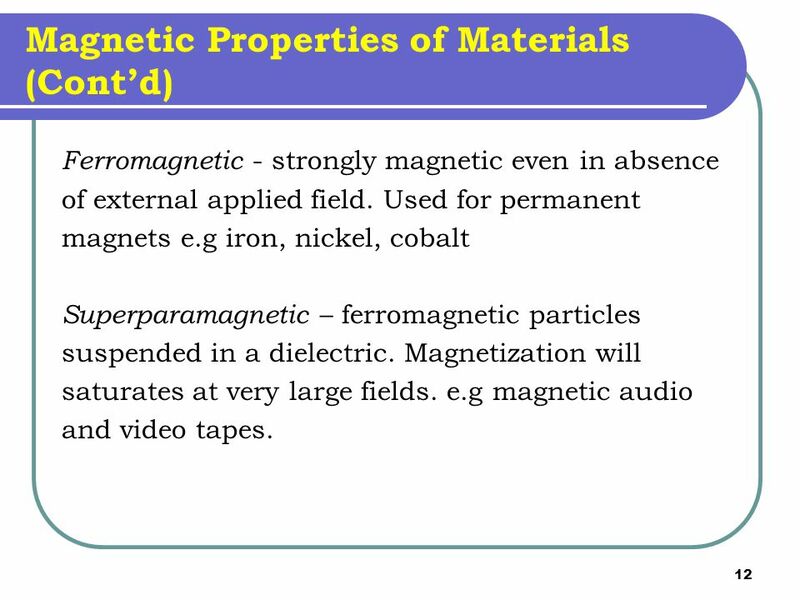 e.g magnetic audio and video tapes. PROBE DESIGN The toroidal-type cuff probe has two oppositely wound windings on each half of the core. 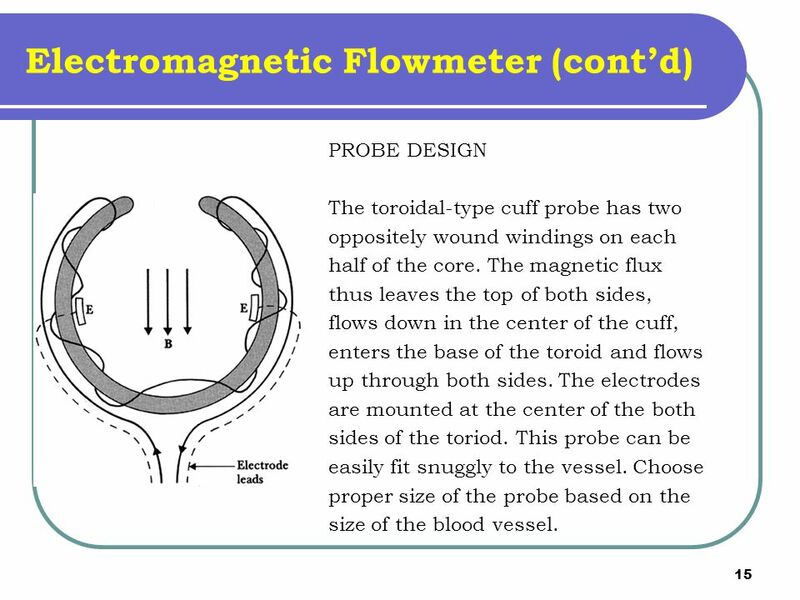 The magnetic flux thus leaves the top of both sides, flows down in the center of the cuff, enters the base of the toroid and flows up through both sides. The electrodes are mounted at the center of the both sides of the toriod. This probe can be easily fit snuggly to the vessel. Choose proper size of the probe based on the size of the blood vessel. Unfortunately there is error in measurement caused by : 1) Velocity profile is asymmetric especially around the curve of aorta. 2) Shunting effects of the wall of blood vessel. 3) Circulating currents flow in the axial direction. 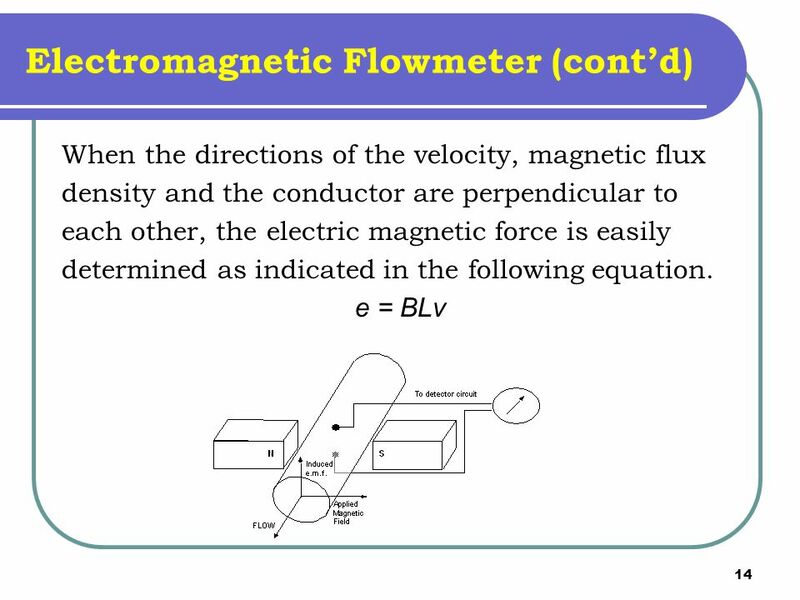 4) Magnetic flux density is not uniform in the transverse plane. Callibration is recommended before measuring to overcome these errors. 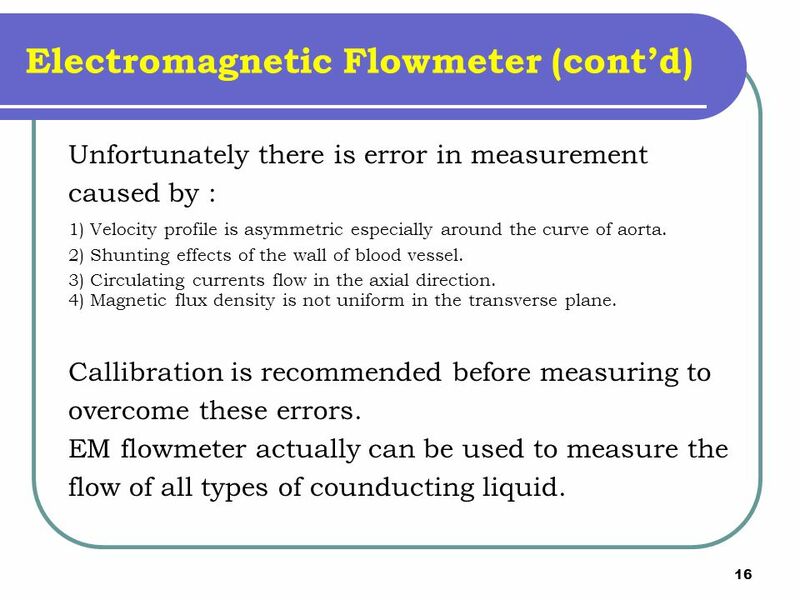 EM flowmeter actually can be used to measure the flow of all types of counducting liquid. 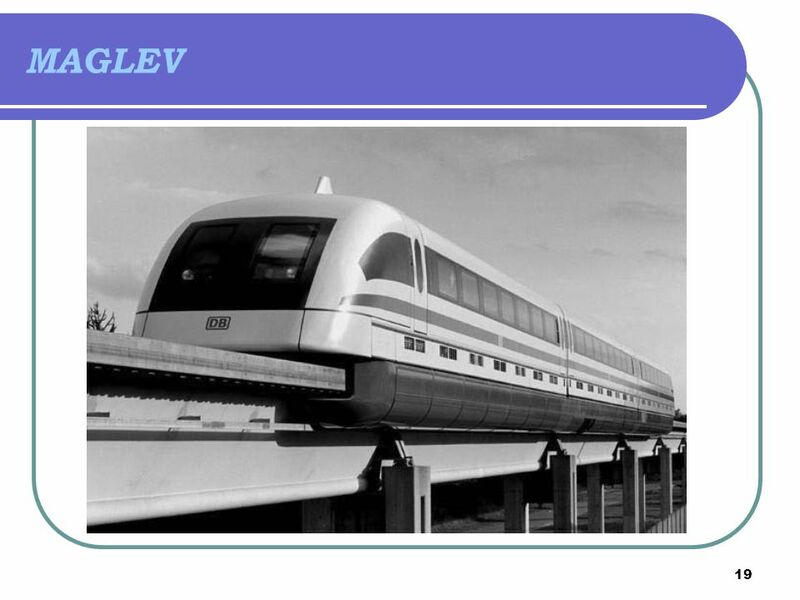 20 MAGLEV (Cont’d) Interaction between electromagnets in the train and the current carrying coils in the guide rail provide levitation. 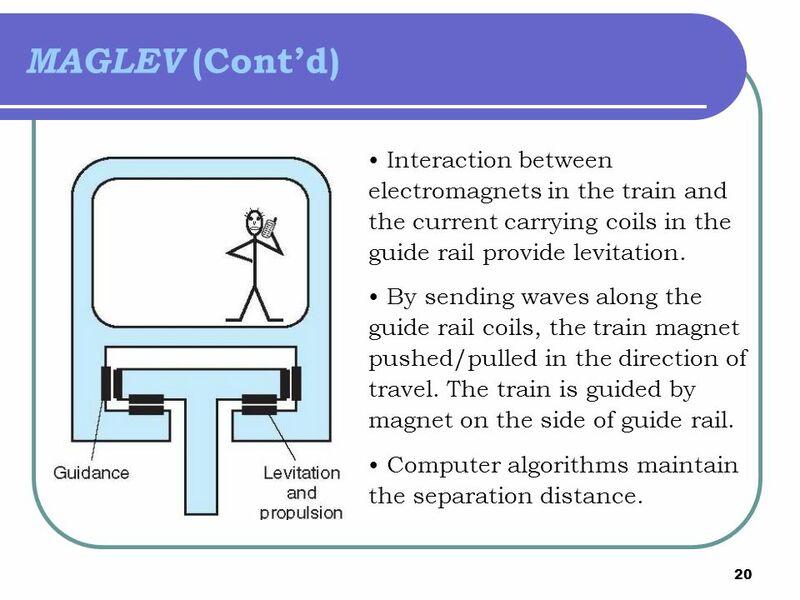 By sending waves along the guide rail coils, the train magnet pushed/pulled in the direction of travel. The train is guided by magnet on the side of guide rail. Computer algorithms maintain the separation distance. 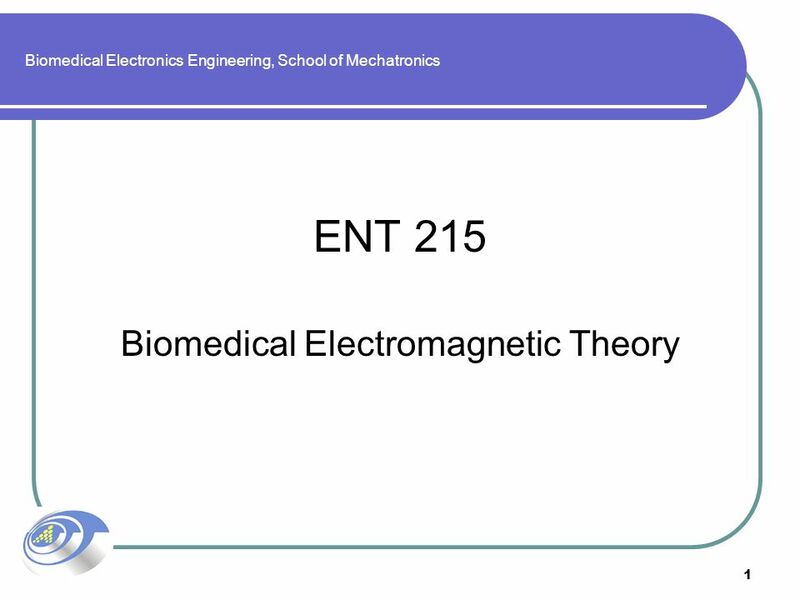 Download ppt "Biomedical Electronics Engineering, School of Mechatronics"
Review 29:008 Exam 3. Ch. 12 Electrostatic Phenomena. In 1820 Hans Oersted discovered how magnetism and electricity are connected. A unit of measure of magnetic field strength, the oersted, is named after. 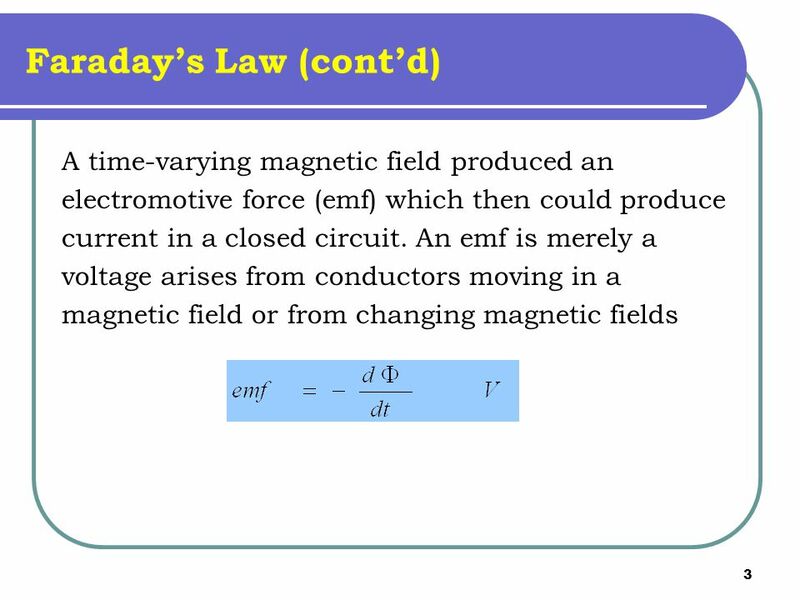 Chapter 9 Magnetic Forces, Materials and Inductance The magnetic field B is defined from the Lorentz Force Law, and specifically from the magnetic force. Electricity and Magnetism Electromagnetic Induction Mr D. Patterson. 21.2 Electromagnetism In 1820 Hans Oersted discovered how magnetism and electricity are ______________. 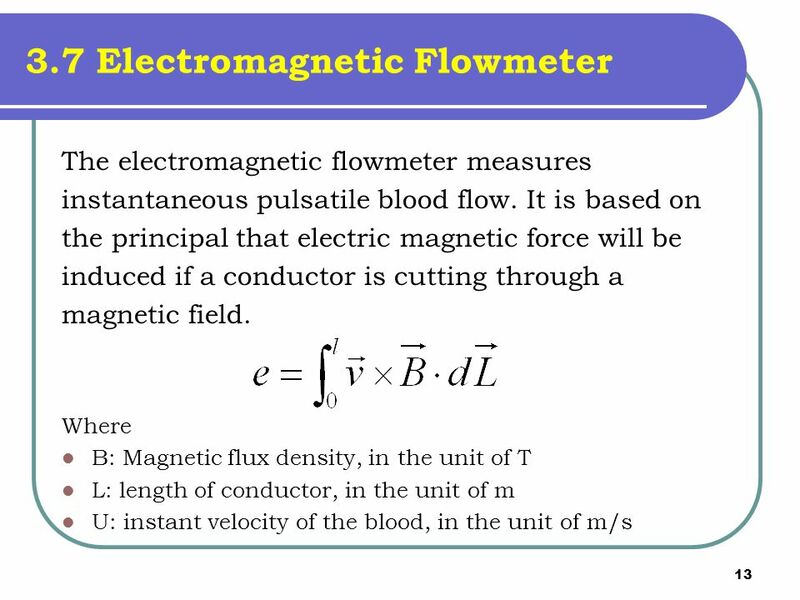 A unit of measure of magnetic field strength, the. 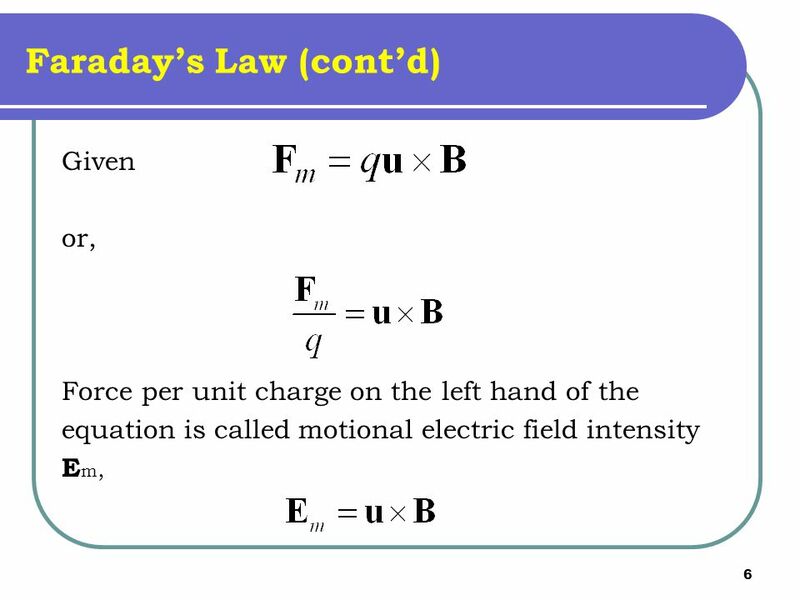 Dr. Jie ZouPHY Chapter 31 Faraday’s Law. 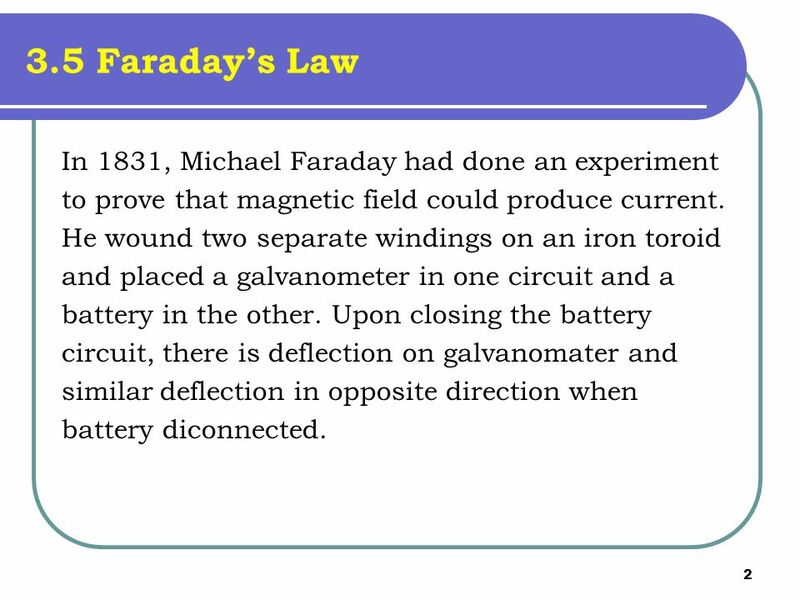 Dr. Jie ZouPHY Outline Faraday’s law of induction Some observations and Faraday’s experiment Faraday’s. Physics 1502: Lecture 18 Today’s Agenda Announcements: –Midterm 1 distributed available Homework 05 due FridayHomework 05 due Friday Magnetism. 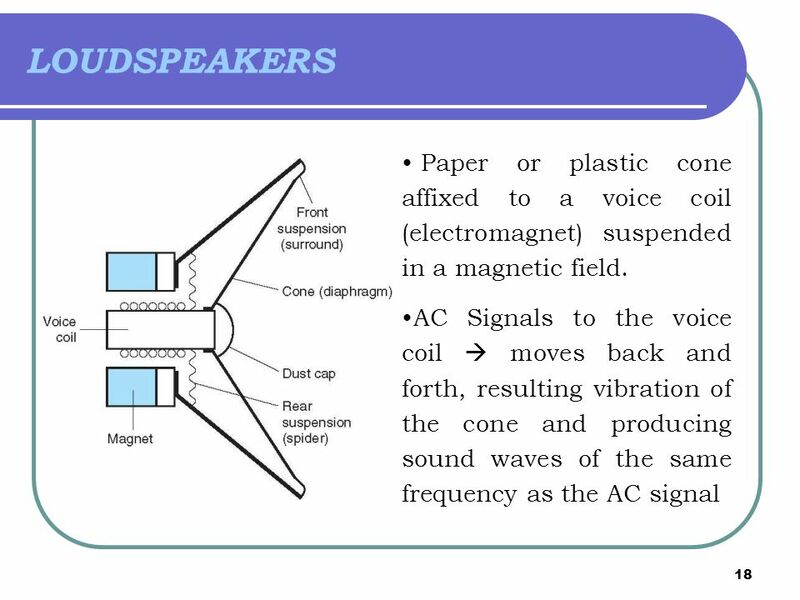 Chapter 20: Induced Voltages and Inductances Induced Emf and Magnetic Flux Homework assignment : 17,18,57,25,34,66  Discovery of induction. 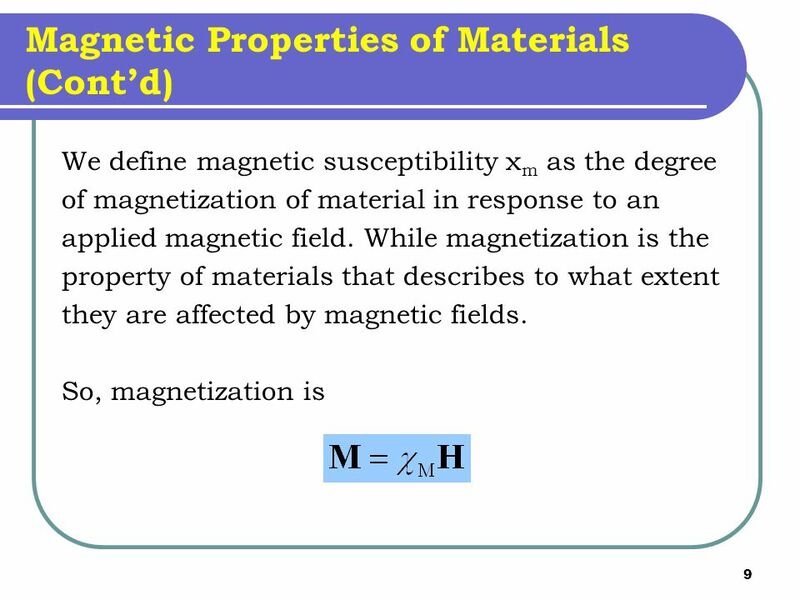 Magnetization. Diamagnetism occurs in substances where magnetic moments inside atoms all cancel out, the net magnetic moment of the atom is zero. The.